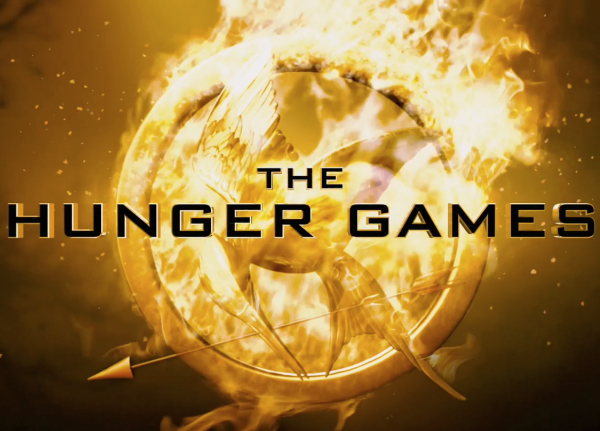 The third installment of The Hunger Games: The Hunger Games: Mockingjay–Part I does not disappoint. Director, Francis Lawrence, who also directed The Hunger Games: Catching Fire keeps the momentum going in a sleek, seamless film. As we all know, sequels are hardly ever as good as the original, but in serial films it seems, as long as all the elements of the story are kept consistent and evenly measured out, this doesn’t have to be true (think the Harry Potter films). Katniss (Jennifer Lawrence) is in the fortress-like District 13, essentially a huge underground bunker of a city run by President Coin (Julianne Moore) in opposition to President Snow (Donald Sutherland) of the Capitol. Katniss must agree to be the icon of the rebellion if it is to succeed, but her only concern is to save Peeta, held hostage with Johanna and Annie in the Capitol. There are definite “Joan of Arc” overtones at certain points. Katniss’ Mockingjay outfit is almost like armor, and her banner with fire behind it feels like a scene right out of Joan of Arc starring Ingrid Bergman. (Joan prided herself on never having actually killed anyone herself–similar to Katniss.) I do think Katniss could be a role model for young women to be strong as young women. Sometimes to have a bit of needed nonviolent “fight back” in their spirits. “Mockingjay” gets off to a very quiet start with lots of dialogue bringing us deeper into the human drama of the story (not just telling us what happened in the first two films). The filmmakers and actors know they have us eating out of their hand, and we, in turn, trust this is going to be good, so we go along with it for quite some time with no action. But once the action comes, it is purposefully tense and pregnant with meaning because of this build up. We now know what it takes, we know the stakes. Mockingjay could have been unbearably grim, but we have our comic relief in the personages of Haymitch (Woody Harrelson) and Effie (Elizabeth Banks). The laughs come due to Haymitch being only a semi-reformed addict and Effie being the fashionista doomed to a gray, Communist-like jumpsuit existence. Stanley Tucci as the almost-evil game show host, Caesar Flickerman, plays his role to the fullest with TMZ relish. Although District 13 may look so drab and prison-like, and the Capitol so elegant and charming, the reality is the opposite. The Capitol (even sporting a red-background-with-yellow-emblem flag) operates on a Communist principle: You exist to serve the State. The State provides order, security and what you need–for you to continue working for the State, which is supreme and will bridge no opposition. This is a great history lesson. Another history (and current events!) lesson is that of propaganda and Media Literacy. The war between District 13 (and Panem) and the Capitol is also a media war. Isn’t the fatal “reality show” what started it all? Katniss now goes nowhere without her “media team,” shaping, shooting and framing the freedom fighters’ image and message. Some of the dialogue feels like kidstuff (after all, the books were not written for adults), sometimes overstating what is going on so that everyone can keep up, but it never gets too heavy-handed, and is actually a welcome relief from too-subtle or too-complicated plots and characters. I still have huge problems with the whole “Hunger Games” concept of kids killing kids (although the author’s goal is to teach young readers about the evils of war right before they may actually be asked to fight in or support a real one). However, this installment is not about any kind of killing games, but rather about the real-life escalation of revenge bombings from the Capitol for the uprising, so actually seeing individuals being killed one by one is not part of “Mockingjay.” There are two gruesome, but tidy (just bones) scene of the dead of District 12 (being picked at by a vulture and a dog), and a slightly disturbing scene of a kind of torture (of one of the young tributes). How does Mockingjay leave one feeling? Because of all the heroism on the part of the “good guys,” we can feel swept up in wanting to “always do the right thing” as they do–even though sometimes arriving at a moral strategy for doing good can be murky waters. My complaint with the character of Katniss (in the films, that is–I’m told that in the books we can overhear her inner workings which are not always as perfectly virtuous) is that she is too perfect. She always chooses the most noble, heroic and correct thing to do without any fear or compromise. It’s like she’s programmed and can’t do otherwise. This is very poor character development. There are no questions in our mind like: Oh, no! What will she do? Because we already know: she will choose the high road and do good and keep on fighting and never give up. Even if she has a slight dilemma about the right course of action, she resolves it quickly and she never seems broken by it all. Even though we know our heroine can’t die, a good writer/filmmaker can put them in such peril that we can’t begin to imagine how they will ever get out of it, and we forget for a moment that, well, our heroine can’t die (yet). Mockingjay keeps your attention, never feels long, and boasts a sure-footed pace to ensure this. The soundtrack is rich, creative and surprising as Katniss even sings a kind of chain-gang blues song that becomes a rallying anthem. The constant use of intercuts is very effective (back and forth between simultaneous action in different locales). It’s so refreshing to see an imaginative film with warriors who have no superpowers, their greatest strength being that they are human and humane. But, Katniss should be with Gale.